We are your fully approved, nationwide, expert Team Guardian Roof installers and are here to transform your conservatory and bring it back to life, by simply replacing the roof for a fully energy efficient Guardian tiled roof. The Guardan roof is the most popular conservatory roof replacement system and new build roof solution on the market. Perfect for creating that all year round extra usable space. The conservatory roof replacement only takes a few days and is completed with minium disruption to your home. Watch the animated video to see the whole transformation in action. We have been expertly trained by our local Guardian professional production facility and know exactly how to install the Guardian roof. 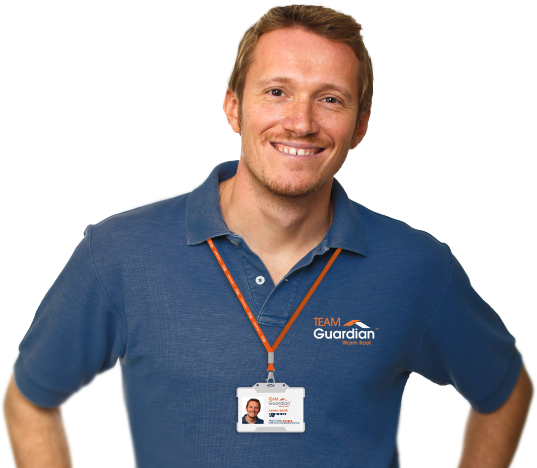 You can verify us on the official Guardian Warm Roof website. Our caring approach is not just limited to free, no-obligation quotes, low prices and high-quality products installed with the care and attention of local staff. We care for the environment too. As well as helping you do your bit reducing your energy usage, we recycle as much of our waste glass, plastic and timber as we can, ensuring that by choosing West Midlands Double Glazing you are not sending unnecessary waste to landfill sites.